Meet Cammie - Kepley BioSystems Inc.
Kepley BioSystems is proud to introduce our latest, though perhaps smallest, team member, Cammie Hobbs. Ms. Cammie, a Rocky River Crawfish (Cambarus hobbsorum) comes to us from the streams local to our headquarters in Greensboro, North Carolina. She has maintained a "hands-on" capacity in the laboratory developing OrganoBait™, a synthetic and sustainable alternative crustacean bait. Her forthright dedication to her work can be seen in her introduction video. Cammie's namesake comes from the venerable custodian of crawfish knowledge, Dr. Horton H. Hobbs Jr. Dr. Hobbs dedicated his life's research to freshwater crustaceans and has provided a large portion of the existing knowledge of North American species. He received his Ph.D. in biology from the University of Florida in 1940 and taught there from 1937 to 1946 before joining the faculty at the University of Virginia. 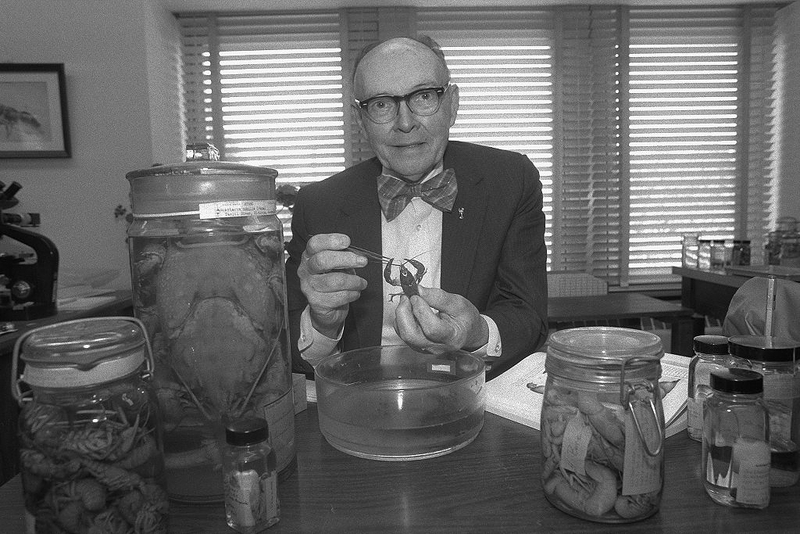 During his career, Dr. Hobbs Jr. described a total of 168 crawfish species, more than 40% of the recognized species indigenous to North America. His detailed illustrations remain staples in the field of crawfish taxonomy. Crawfish can be traced as far back as the Mesozoic era. The species is physically similar to their Astacidea counterparts, lobsters. Both have two large front claws, strong exoskeletons and eight legs. Crawfish are smaller in stature and reside in freshwater lakes, streams, rivers and ponds, where as lobsters inhabit saltwater oceans and seas. Despite their different domiciles, both prefer to remain bottom dwelling where they can easily hide in crevices and under rocks. The crawfish grows by moulting their chitin exoskeleton and will reach adult size in approximately four months (roughly eight to ten moults). 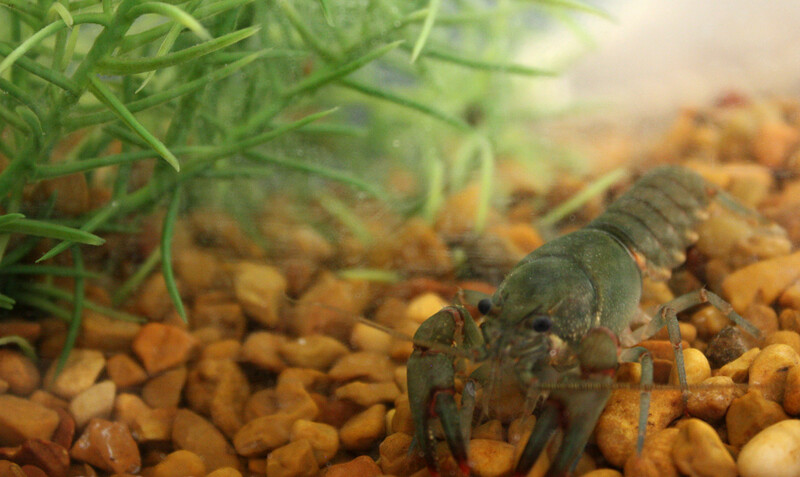 These freshwater decapods are opportunistic eaters that forage on the easiest obtainable food source, typically dead or decaying matter on the water floors. On their head are two sets of antennas for gathering information about their environment. The smaller set, called antennules, is used for detecting food scents, mates and dangerous predators. Nearly half of a crawfish’s brain is dedicated to scent detection and differentiation. Humans consume crawfish across the globe and nearly 95% of the harvest occurs in U.S., originating from the state of Louisiana (who produces 90% of the world’s yield). In addition to their inclusion on the traditional Po’Boy sandwich, these crustaceans are also used as bait for attracting a myriad of finfish. Cammie, however, enjoys her days at the office contemplating the scientific conundrums of crustacean biology and providing positive energy and youthful passion to the team at Kepley BioSystems. Cammie Hobbs is a Rocky River Crawfish (Cambarus (Puncticambarus) hobbsorum) found native to our area in North Carolina. Dr. Horton Hobbs Jr. (aka "Old Man Crawfish") feeding a crawfish at his desk.